The lights are also compulsory part in vision inspection system. In industries where continuous high speed production, such lightings are used. For high speed inspection it is obvious to use high intensity lights. There are wide range of different types of illumination (Lights) is available. Here we are describing 128 LED Bar light specification. The Vision System is used in Production line for the 100% quality assurance. It inspects for visible defect in the product at high speed. Vision Inspection is completely replacing Manual inspection using higher accuracy and higher speed compare to Manual Inspection. v FOR WHAT PURPOSE IT IS USED? High intensity light is used for 100% Quality Assurance at very high speed. 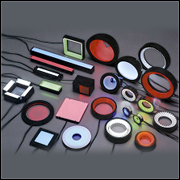 Machine Vision Illumination is throughout consistent during the work. For the application of sharp and high accuracy measurement very high intensity lights (Red LED) are used. For uncertain surface inspection there are many different techniques are used while lighting. Indirect lighting is also used for special applications. Very law maintenance cost and handling charge.